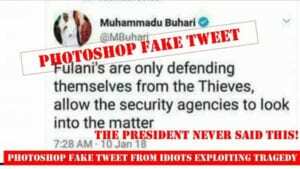 The Nigerian presidency has alerted Nigerians about a fake Twitter handle purportedly belonging to President Muhammadu Buhari . 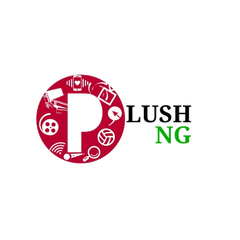 Femi Adesina, the president’s special adviser on media and publicity said the parody account has been posting spurious messages justifying the attacks by herdsmen, saying they were only defending themselveFemi Adesina, the president’s special adviser on media and publicity said the parody account has been posting spurious messages justifying the attacks by herdsmen, saying they were only defending themselves. “Evil doers and enemies of our country are obviously at work, seeking ways to further advance their pernicious acts. The message is denounced in its entirety, and President Buhari stands by his earlier condemnation of the killings in Benue and other parts of the country as dastardly and unacceptable before God and man. “Those behind the concocted message are also enemies of God and man, who have no place in a decent society. “The President stands by his earlier directives that all those behind wanton killings in any part of the country must be brought to book”.